After it was announced at Intel Developer Forum last year, the ASUS Chromebox is finally ready to meet consumers as the Taiwanese company has announced that the hugely compact Chrome OS-based computer will be released in United States this coming March. Customers are able to choose one of three Intel processors to be equipped into their ASUS Chromebox: the 1.4GHZ Celeron 2955U, 1.7GHz Core i3-4010U, or 2.1GHz Core i7-4600U. 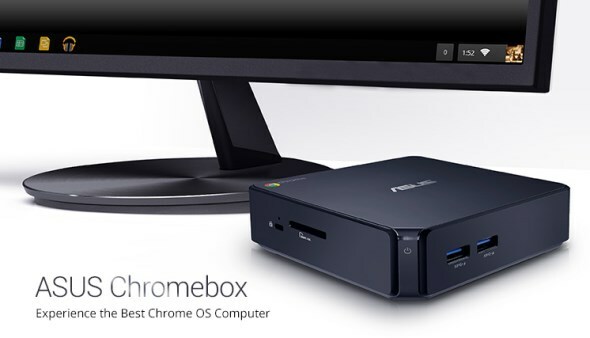 The ASUS Chromebox will rely on the specific Intel HD Graphics GPU that is built within each processor. The compact desktop computer also comes with 2GB or 4GB DDR3 1600MHz RAM and 16GB SSD, alongside 100GB worth of free Google Drive Space. 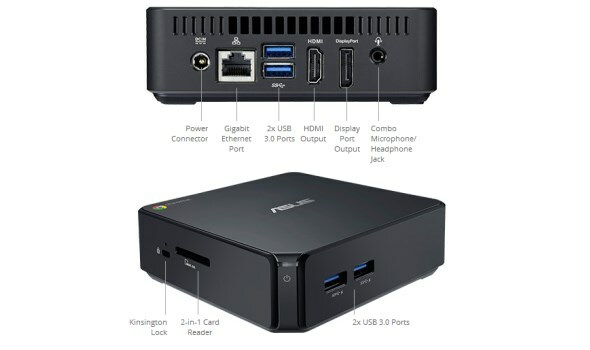 As compact as it might be, the ASUS Chromebox sure comes with plenty of I/O ports such as a full-sized DisplayPort, HDMI, Gigabit LAN port, combo audio jack, 2-in-1 card reader, and four USB 3.0 ports. Not enough with that, ASUS Chromebox also features dual-band 802.11 a/b/g/n Wi-Fi connectivity. With a starting price of USD 179 (RM 594), it is not yet known whether ASUS Malaysia will be offering ASUS Chromebox in our market anytime soon but in case you want one, maybe it is wise to make your intention known over at facebook.com/asusmalaysia.